You may find yourself in a situation where your attorney “quits” on you, or more specifically, withdraws from your case. First and foremost, it’s important to understand that an attorney cannot just automatically withdraw from your case if it is in litigation. The attorney must request permission from the court in order to withdraw. Assuming the attorney has met certain requirements with respect to your case and any upcoming hearings, the court may grant your attorney’s request to withdraw from your case. You are now without an attorney. If you are still on relatively good terms with your attorney, then you should ask him or her for a recommendation for another attorney. Oftentimes, your attorney may know who might be perfect for your case. If your attorney provides you with a recommendation, then it is always a good idea to perform your own search on that person to see if there are any client reviews out there and also to see if that attorney is in good standing with the bar. A good site for checking out a lawyer’s “rating” is www.avvo.com. This site lists the number of years an attorney has been practicing, his or her practice areas and client reviews, if any. But, probably the best thing to do is to contact the Florida Bar Association to seek guidance. The Bar Association can provide you with names of attorneys in good standing in specific practice areas. Your attorney must provide you with a copy of your file including all discovery, pleadings, and correspondence. Generally, your attorney does not have to provide you with what is called “work product”. You should request a copy of your file as soon as possible so you can get it to your new attorney. 4. Time is of the Essence – Contact a New Attorney Immediately! An important thing to remember is that time could be critical in your case. You may have an important deadline coming up that cannot be missed without having a negative impact on your case. 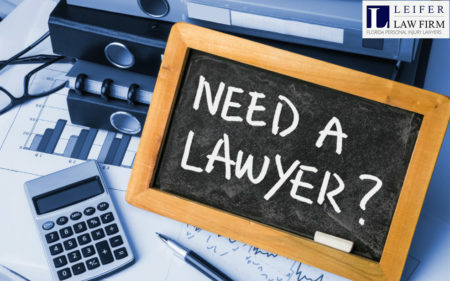 Regardless of whether your case is in the throes of litigation or just beginning, you should contact an experienced attorney to evaluate your case and decide which one you would like to hire. It may take an attorney some time to get up to speed on your case.